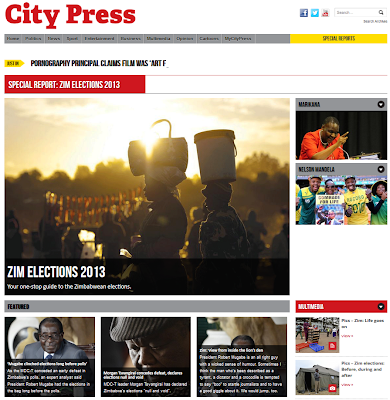 Another assignment, this time for the module I am doing in digital journalism. I had to take a poor piece of digital journalism, explain why it has been badly presented, and then put together a plan for how I would have covered the story online. 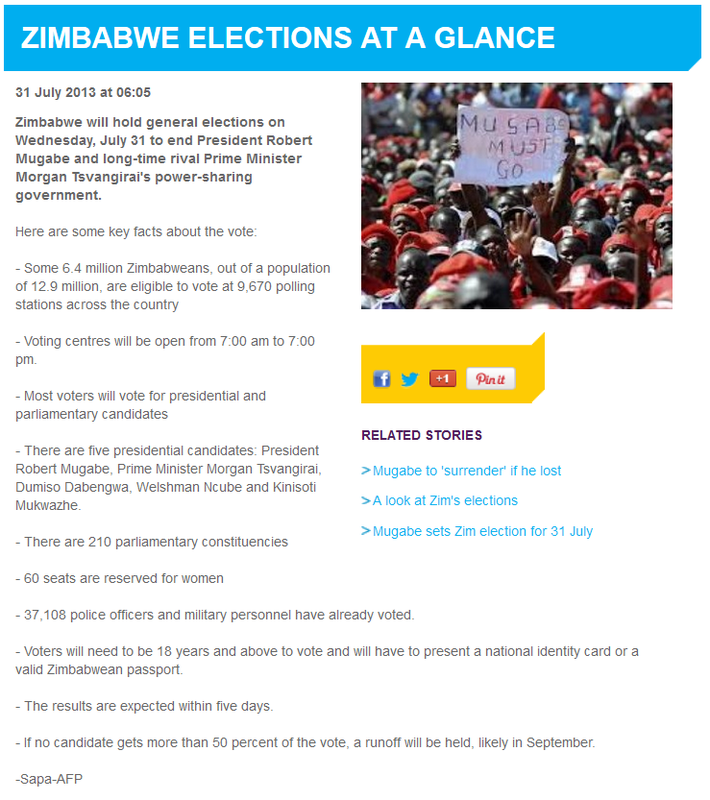 I chose to take a closer look at how the elections in Zimbabwe were covered this year as it was a significant story for both local and international media, allowing me to compare the two. The 89-year-ol Robert Mugabe was recently elected for a seventh term as Zimbabwe's leader after winning 61% of the votes. His main rival, Morgan Tsvangirai, filed a court petition over allegations of widespread electoral fraud. 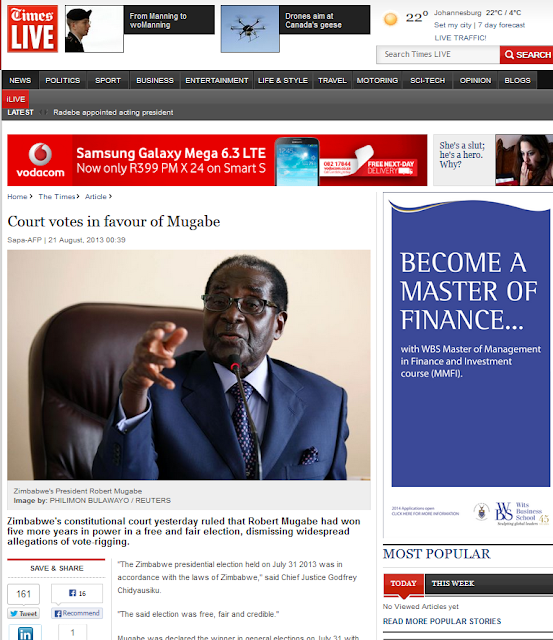 The Constitutional Court, however, dismissed the case, saying that Mugabe's re-election was free and fair. I have selected number of examples of poor digital journalism. 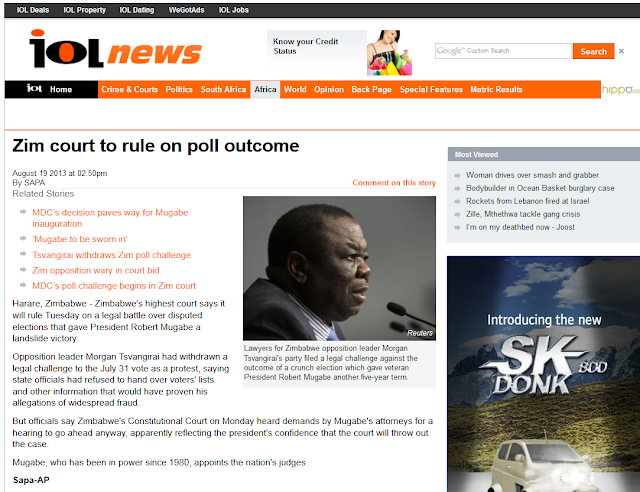 The first is Independent Newspapers' website, IOL. It provides a standard write-up of an article with the occasional photo gallery or video clip. It also relies heavily on sourcing articles from the wires, which means that because the site doesn’t offer anything extra to it’s audience, they will most likely go find the same news elsewhere. Essentially, it provides the facts, but little more in terms of value. 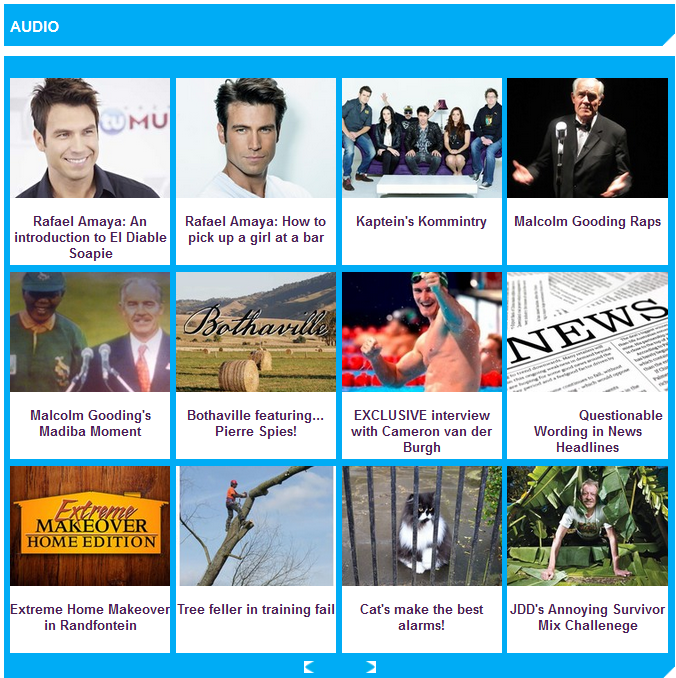 Radio station Jacaranda has a website (www.jacarandafm.com) which also relies on the wires for content. It does to some extent publish voice clips of interviews that have appeared on air, but it’s a rather odd selection, for example “Cats make the best alarms!” Few of them have any significance when it comes to being newsworthy. Besides a galleries tab and a selection of music videos, there is no other form of multimedia on the site. In this way, Jacaranda has not quite found a way to converge radio and online yet. Article from Sapa-AFP on Jacaranda's website. The audio clips on Jacaranda's website. The elections in Zimbabwe are a widely-covered event, so it is more than likely that there will be numerous articles about it. At the same time, people who are interested in the elections will want to follow what happens as it unfolds. In this way, a separate tab that aggregates all the coverage on Zimbabwe will be useful. It will also ensure that people who browse through it will click on other content that is linked to the subject. The first step would be to produce the anchor text from which will be used as a springboard for the rest of the digital content strategy. This is where the above examples generally stop in terms of how they represent a story online. This series of articles will include thorough reporting and research. 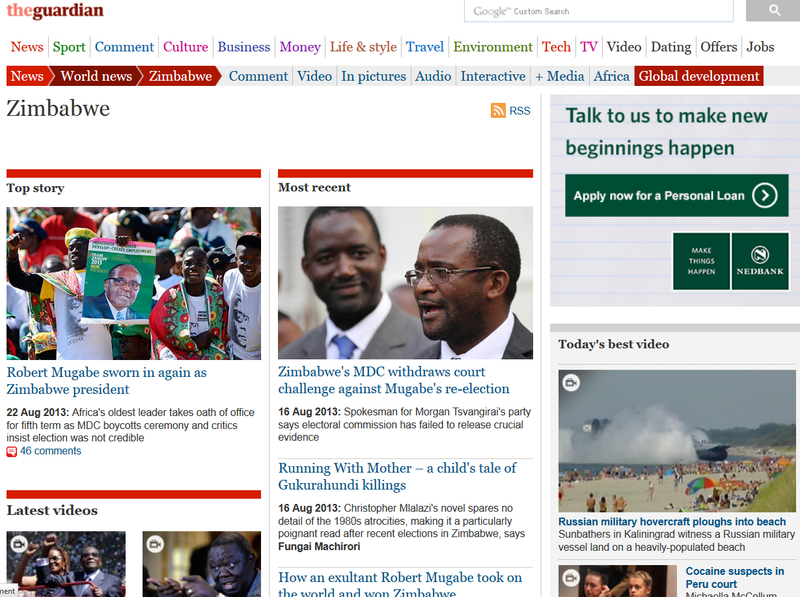 A benefit of online is that it is not limited by space or time, as it is with print, radio or television. Links to other articles or media on the subject can also be embedded within the article, ensuring that the user doesn’t have to leave the site to find any background information or other content relating to the subject. While there are no constraints on an article’s length, it should at the same time not be text-heavy as this will scare a large number of users away immediately. A site can make use of lists, subheadings and multimedia to ensure that the reader doesn’t get bored and leave the site. It is also useful to give users the option to share the article they have just read on various social media sites like Facebook or Twitter. 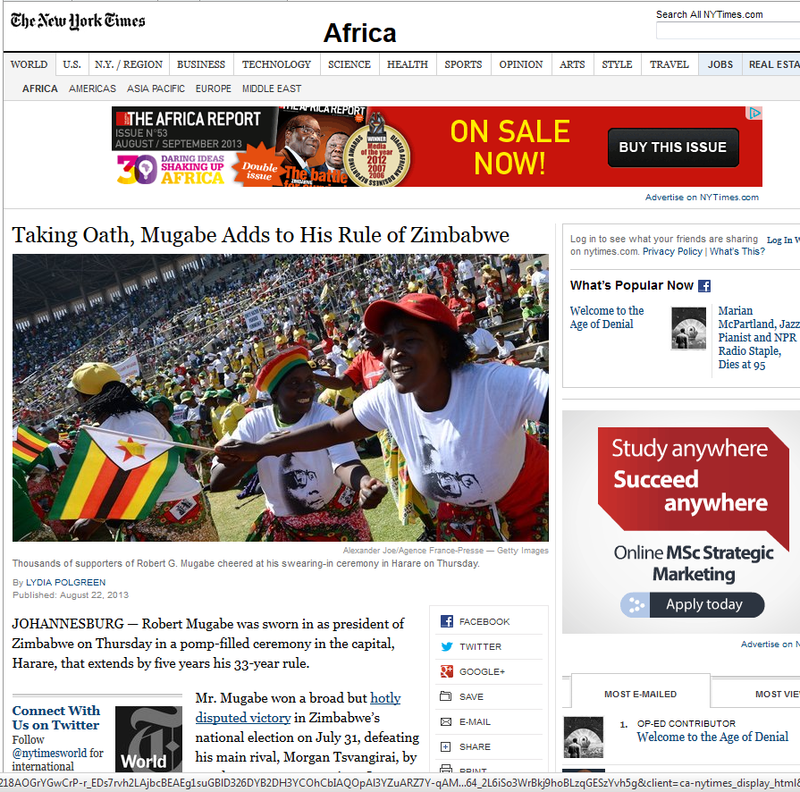 This gives the audience the chance to attract additional users to the site without the media organisation have to do so. Users can also comment on an article, which allows them to participate in debates and discussions about the topic. This allows readers to interact with the news itself as well as the people who are producing it. This, in turn, allows people to be in charge of the type of news they engage with. Anchor article on Times LIVE. 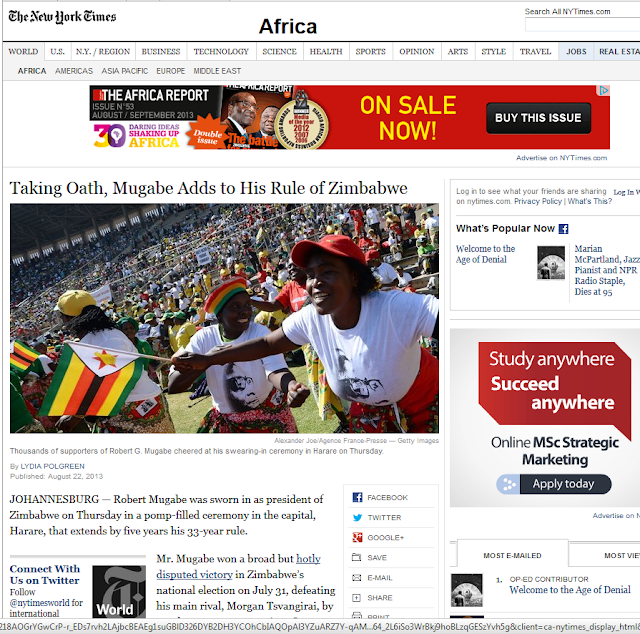 Article on The New York Times' website with an embedded link to another article on the subject. Anchor article on City Press' website. Comment and analysis provides a more comprehensive understanding of an issue, whereas a hard news article provides merely the facts. 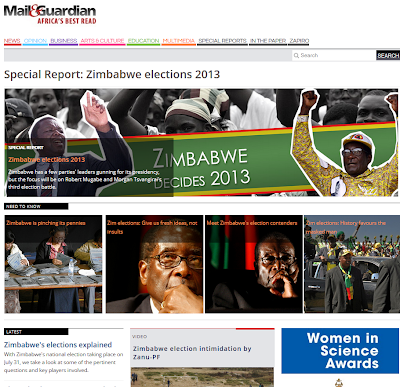 Articles such are great as a springboard for discussion and debate about a news item. They will include links to the article that prompted a response and any other media that the site may have included on the subject. Experts, thought leaders and journalists usually write comment pieces and because they are well-known, their opinion is respected. This will in turn drive traffic to a site. 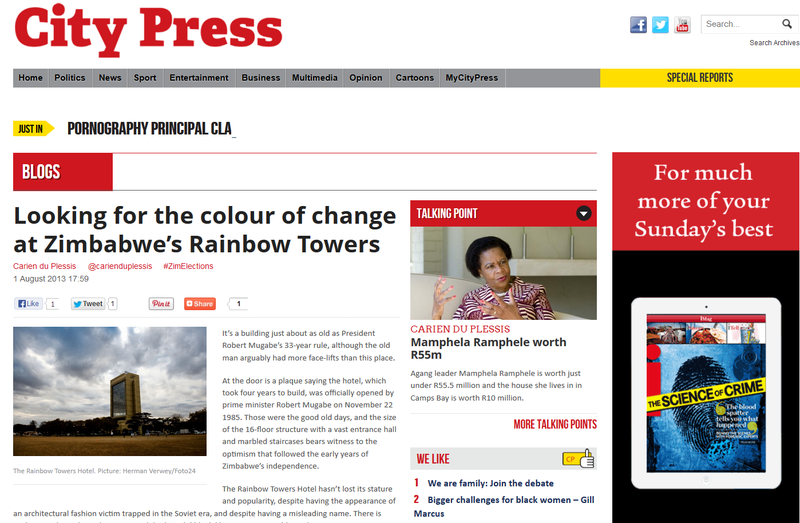 Opinion piece by City Press' Carien du Plessis. 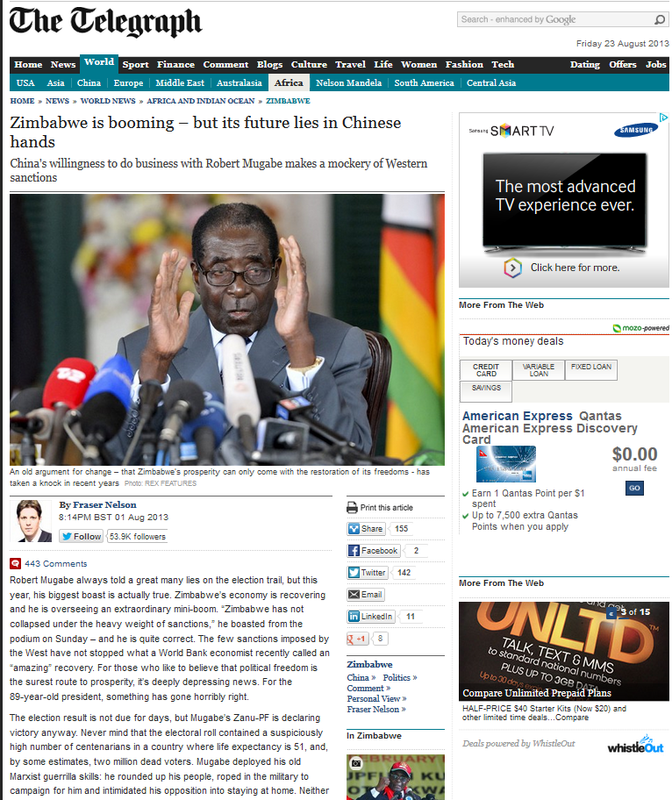 Opinion piece on The Telegraph's website. A link to the anchor articles that appear on the site should be tweeted from the publication’s Twitter account. A hashtag can also be created for the story. 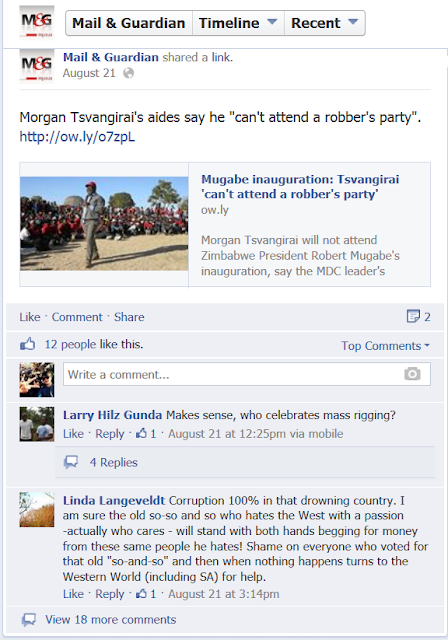 In this instance, something like #zimelections or #zimelections2013 will be appropriate. Anyone who wants to find all the tweets that link to the story can click on the hashtag and they will all appear on a timeline. 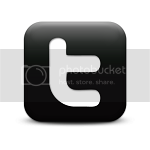 Twitter users can also retweet links, which is as if social media users are selling the content for the publication. Twitter is a good way to build a brand that is accessible and in touch with its audience because it allows a site to interact with its users in real-time. Connecting with the audience on this level also makes you more aware of what people want and what they don't want in terms of news content, based on their reactions to the story and how many times the story gets retweeted. Live tweeting is also something that adds another dimension to the way a story is told in the digital age. A journalist will tweet what is happening at an event as it unfolds in real-time. People can follow these tweets and feel as if they are there. 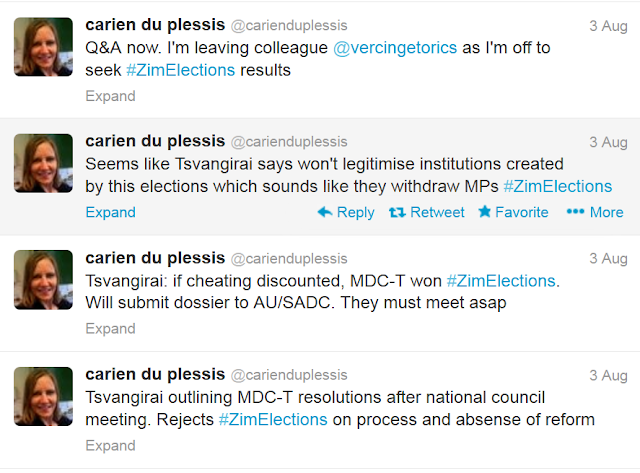 City Press' Carien du Plessis live tweeting from Zimbabwe as the elections are taking place. 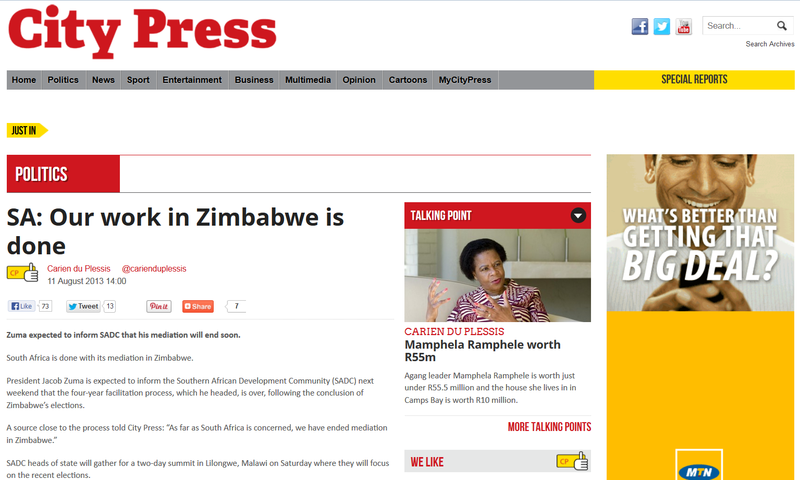 Like Twitter, a link to the anchor article should be provided on the publication's Facebook page. Readers can comment on the link, or share it with their friends if they like. A group which discussesthe elections in Zimbabwe can be created so that people who feel strongly about the topic can engage with one another in discussion and debate. 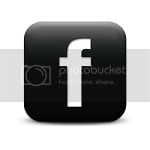 Facebook also provides the opportunity to upload photo albums which can provide more of a visual aspect, as well as more context for a story. 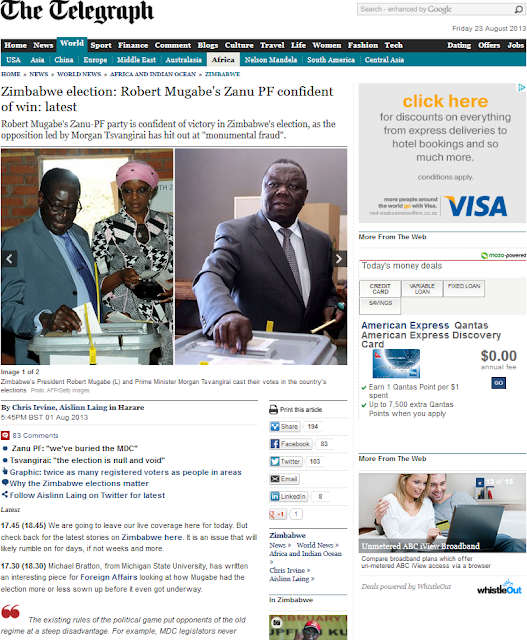 Link to article on Mail & Guardian's Facebook page. 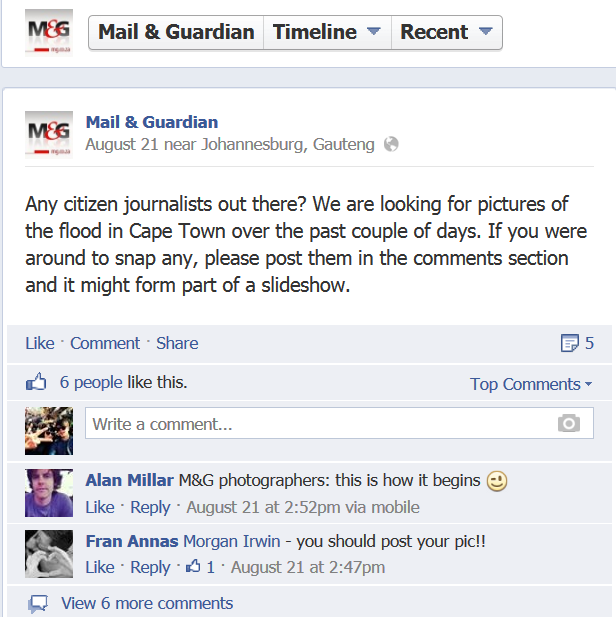 Mail & Guardian using Facebook as a crowd-sourcing method. 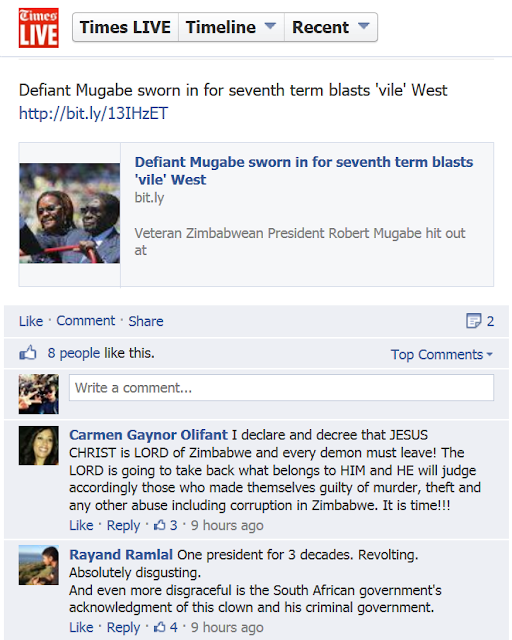 Example of comments from users on Times LIVE's Facebook page. The photo-sharing service can be used to strengthen a publication's brand and engage with the audience on yet another platform. Publications can have their own Instagram which journalists can post from at events. Like Twitter, it provides real-time updates for users. These photos can later be turned into an article. Instagram can also be used by citizens to provide the media with information and access they wouldn’t necessarily have. Publications can then use these Instagrammed photos to add yet another dimension to the story. Additionally, a publication can also Instagram screen shots that pose questions that users can answer, or to promote an event. This creates another way for a publication to communicate with its audience. 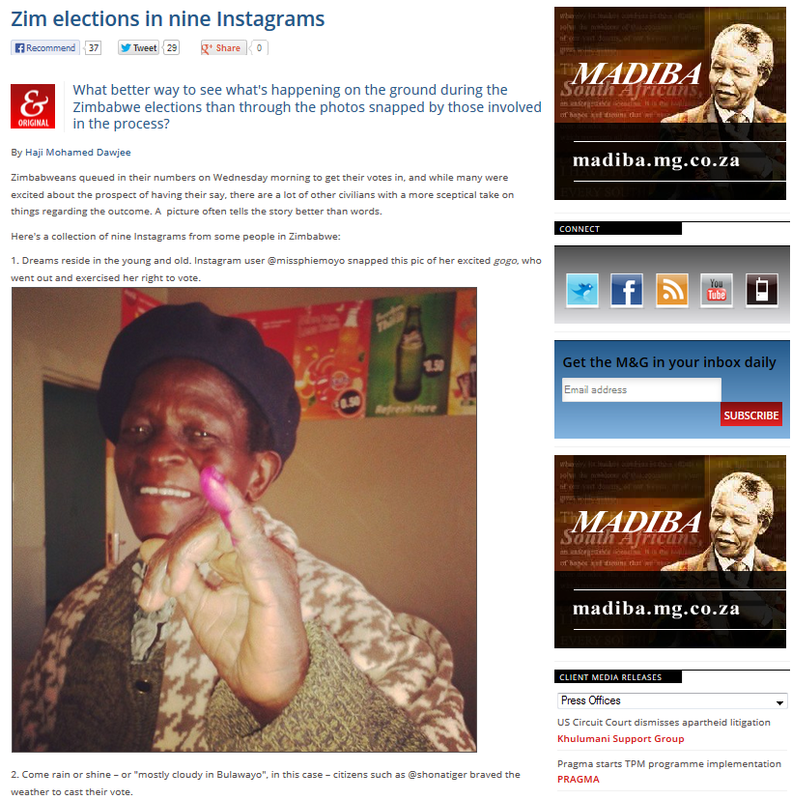 Example of story on the Mail & Guardian's website where Instagrammed photos are used to tell a story. 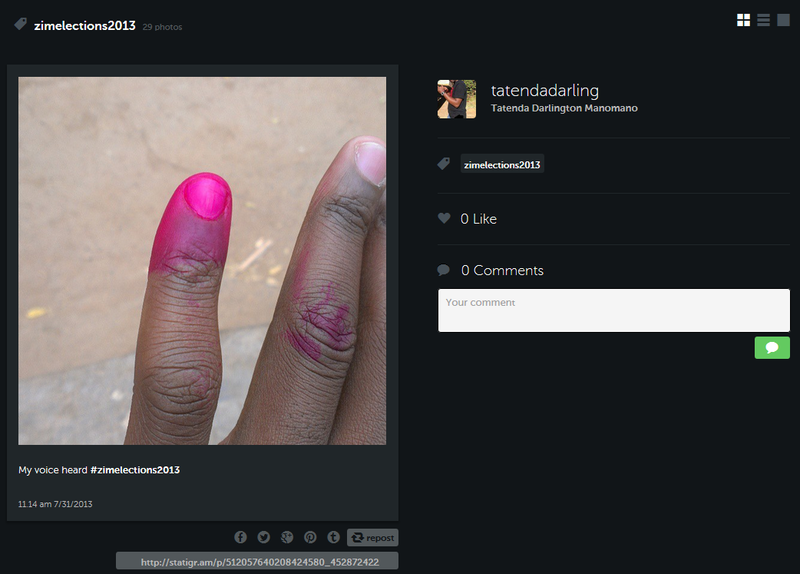 A Zimbabwean citizen's Instagrammed photo after voting in the elections. 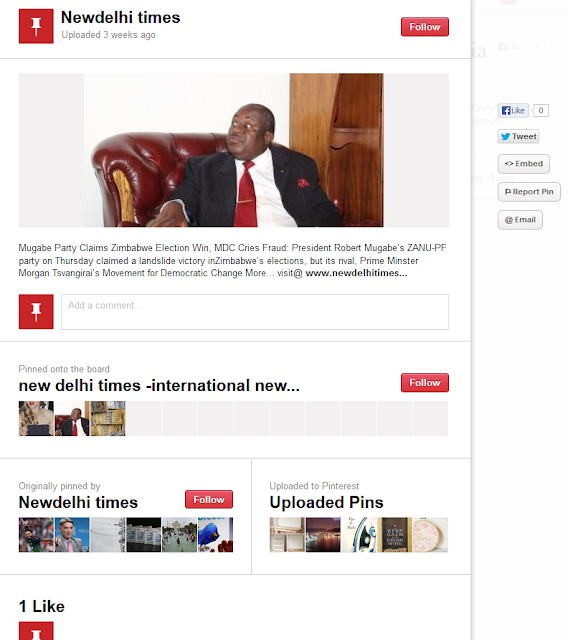 Digital pinboard site Pinterest is another way that publications can engage with their audience via social media. They can use it to find out what is popular on Pinterest and then create a board that features stories published on the topic. It can also be used to include the audience in a collaborate way by asking people to create a board relating to a specific topic and then feature the best ones on the site. This ensures that the audience gets more involved in the news production process and also extends the shelf life of a story. 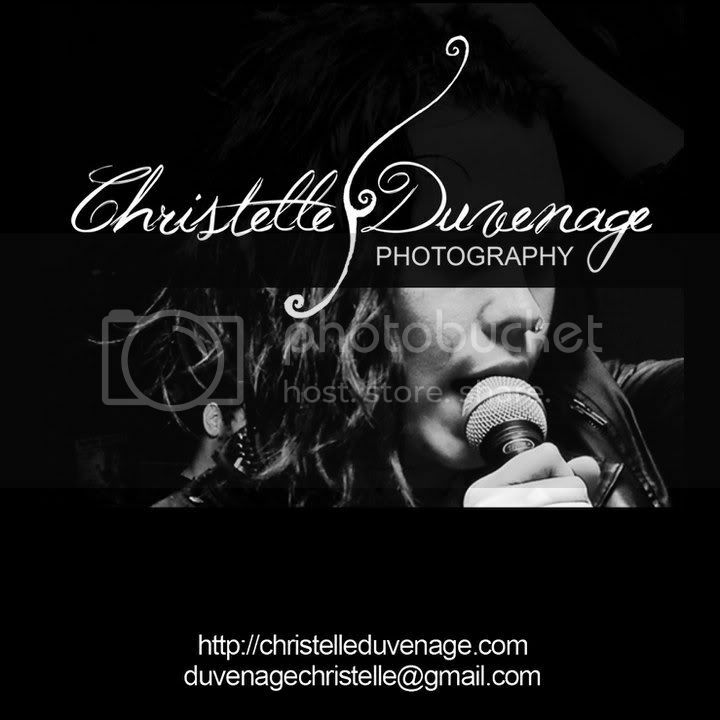 Additionally, it’s a good way to showcase a site’s multimedia and photo galleries. Pinterest is vital in reaching new audiences which wouldn’t necessarily have been interested in following hard news stories. 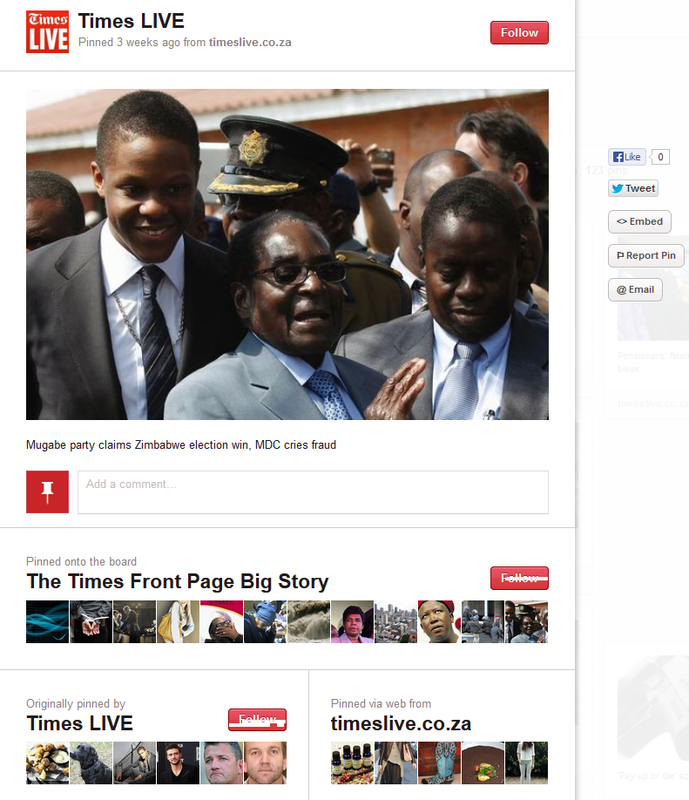 Example of Times LIVE using Pinterest as part of their coverage of the Zimbabwe elections. The New Delhi Times also making use of Pinterest. Storify allows journalists to curate content from various social media platforms in a clear, logical way, while connecting it all with reporting in between that provides context and perspective. It also allows for the audience to get involved in the storytelling process and is especially unique as it allows for an abundance of opinion. The service also lets people know when their tweets are being used. This helps people feel rewarded for contributing to the news, and it also helps spread the story. 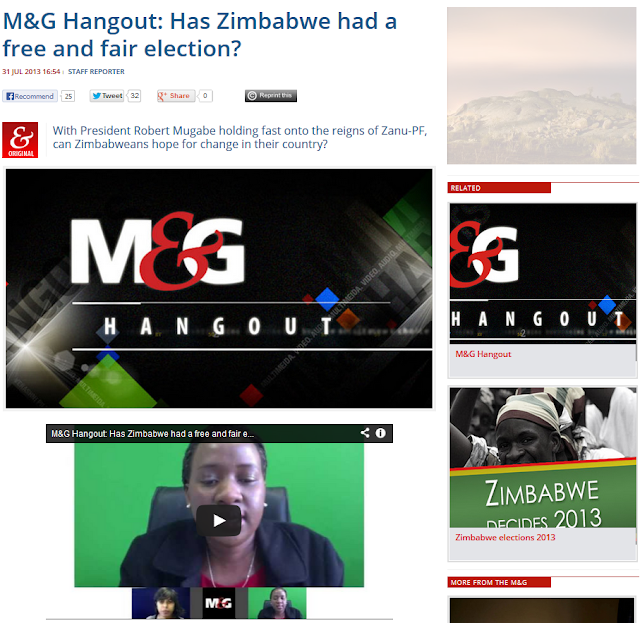 Another way that Storify could be used would be to capture a debate between two prominent individuals on the topic. The use of multimedia is vital as it provides the audience with a multi-sensorial experience of the news. It is user-friendly and can also be interactive should the audience choose to comment on it. People are more likely to engage in multimedia than text-laden articles as it provides a different, more interesting way of understanding information. Multimedia has broken the barriers of storytelling as it broadens the scope of what can be available in print. Photos taken at an event can be published in the form of a gallery or a slideshow. It is not limited to a specific number of photos that be published as is the case with print media. 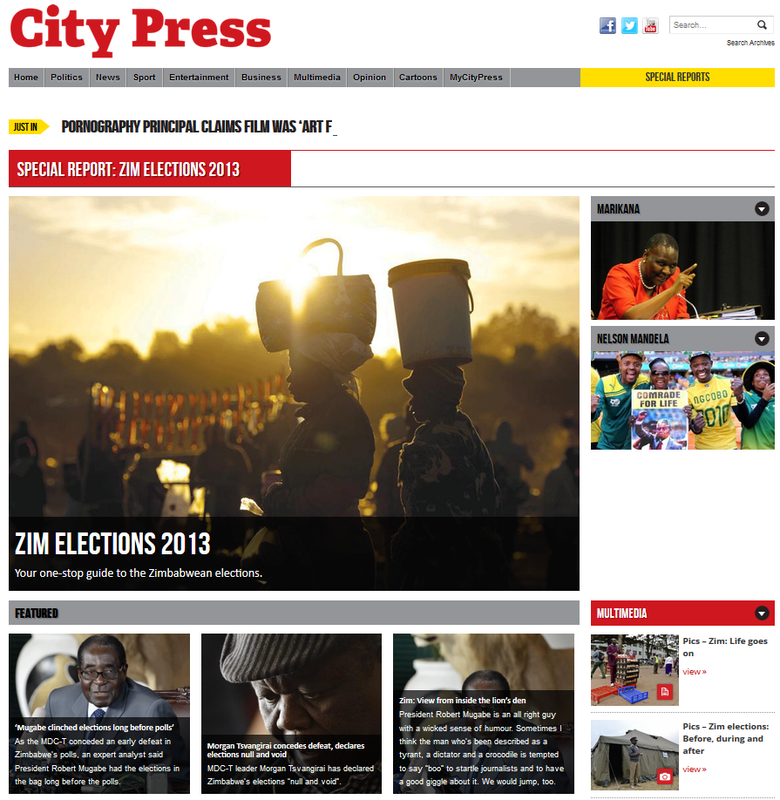 Photojournalists can also produce online photo essays, which there is often not space for in a newspaper. It provides another visual element for the audience that can inform them without them having to wade through a lot of text. Cartoons are a tongue-in-cheek look at current events. They are able to capture what is happening in the news with just a few words. Depending on the nature of the cartoon, it might be difficult to establish context if you are not aware of the full story. For this reason, it is essential to embed the cartoon between text, or make it part of a content package so that that context can be established. The presence of something visual immediately attract the reader's attention in amongst a lot of text. Cartoons are often controversial, which allows for discussion and debate on the topic. Cartoonists such as Zapiro have a great following, automatically directing a large audience to a website. Online audio distribution platforms like Soundcloud can be used to create audio packages that can be embedded into an article. Users can share them with other people on Soundcloud or on social media sites, which drives more traffic to a site. It also gives people the opportunity to engage with a story with yet another sense, which in turn adds value to that person’s experience of consuming news. Data journalism is a way of telling a story in a compelling way by making use of digital information. It can be used during a journalist’s reporting process, where programming is used to gather and combine information. Software can also be used to find connections between a number of documents. Infographics are a way of making sense and presenting all this data to an audience as they makes sense of a story that has many layers to it. They have a visual aspect to them that attracts the audience but also make use of text in order to provide context. Ideally, live blogging would be used to chronicle live events for a specific period, providing the audience with real-time content. Information can be shared and distributed through a variety of tools and resources like photo sharing, social media, video blogs etc. Google + Hangout is a group video chat feature. It can be used to create a forum for discussion which would include reporters, experts and the audience engaging in discussion about the story. It is an innovative way of combining the benefits of broadcast with the social web and, most importantly, it allows for viewer participation. Analytics is the use of a variety of tools, techniques and process that are used to make sense of data by providing statistics that can be applied to fact-based information. In journalism, analytics can be used to tell you what content users are visiting and sharing, how many people visit your site, and whether they like it or not. Most importantly, analytics is used to help you make sense of what to do with these results. HTML5 is a way of structuring and presenting content for the web. It looks like an app, feels like one, but is actually a website that can be resized and reformatted according to whatever device a page is being viewed on. Essentially, a site can be viewed on any kind of phone or tablet.This means that users can access a site without downloading an app from the iTunes store, allowing publications to avoid giving Apple the subscription fee. It also means that the audience has more of a choice when it comes to the medium they would like to use to consume their news. Brazilian magazine Superinterressante has started combining journalism and video games to tell a story in a different, interactive way. 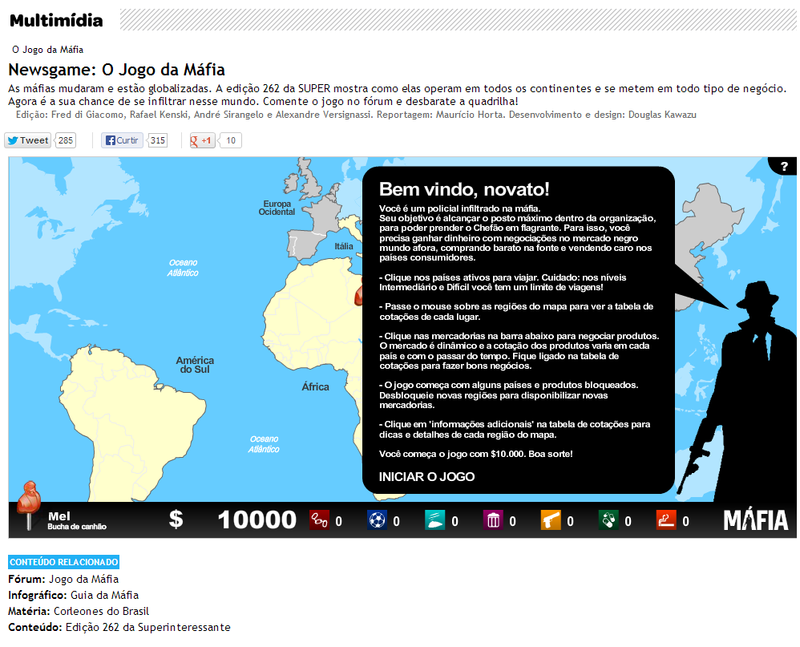 For example, the magazine’s website has a game which can help users understand the mafia better. They do this by becoming an undercover cop posing as a drug-trafficker. 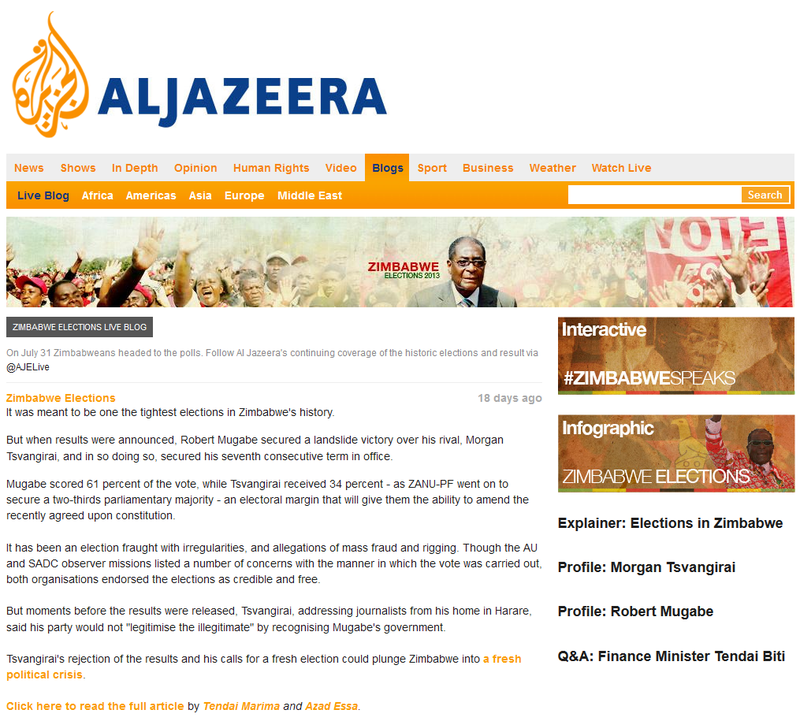 Although still in its early stages, news games are a novel way of bringing information about news events to audiences.